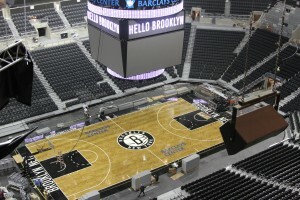 New Barclays Center implements Cisco Connected Stadium (free) Wi-Fi, and StadiumVision, for Brooklyn Nets NBA basketball games and other events. 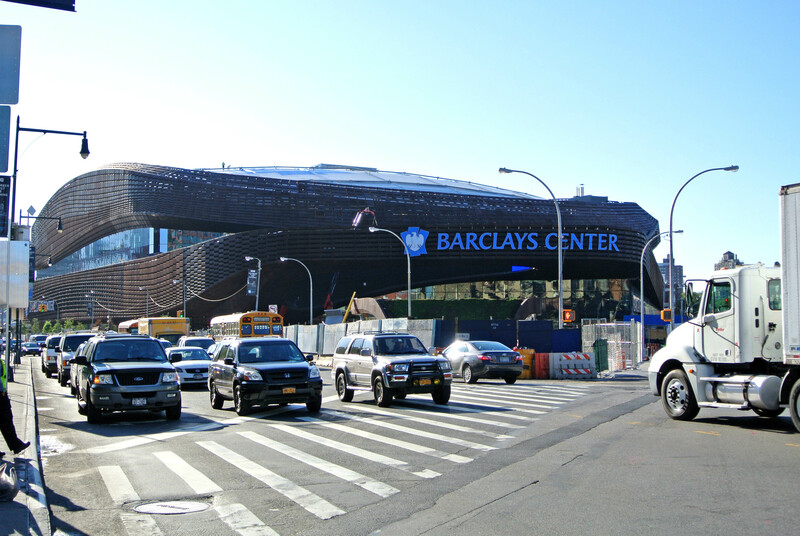 The new Barclays Center is implementing Cisco’s Connected Sports and Entertainment intelligent network solutions – Connected Stadium Wi-Fi, together with StadiumVision, for Brooklyn Nets NBA basketball games and other venue events. Cisco developed Connected Stadium Wi-Fi to address the connectivity problem created by dense environments and clusters of people at facilities like arenas, and both the Barclays Center and Nets wanted in. The nice kicker is that the Wi-Fi is FREE for Brooklyn fans that have not had a team to root for since the Dodgers left for Los Angeles in 1957. Many Sports Techie share in the experience of not being able to load the Internet, send texts, or even make a call, at sporting events played in a crowded stadium or building, no. Recent research shows that 75% of fans attending live events are likely to have a mobile device, approximately 50% will take photos with the device, and close to 50% of them want to share their experiences with family, friends and the rest of the world through social media channels like Twitter and Facebook. Connected Stadium’s Wi-Fi access securely plugs you into your social networks inside of Barclays Center’s unparalleled sports and entertainment experience, enabling uninterrupted connections with social media and the rest of the web. How cool is that, Sports Techie. By addressing this worldwide tech issue, Cisco and the innovative Barclays Center app will enable NBA fans and concert goers the option of using their own smartphones, tablets and other devices, as a second screen. Cisco ensures consistent and reliable connectivity to thousands of fans by efficiently off-loading all data traffic and freeing up the entire cellular network bandwidth for phone calls and text messages. The customizable Barclays Center app runs on iOS and Android giving those lucky fans mobile interactivity on another level, all in the palm of your Sports Techie hands. The app can be downloaded at iTunes and Google Play. Fans will enjoy unique perspectives from different camera angles. App content consists of artist information, event details, vital transportation data, and a welcome to the new and old Brooklyn guide. A future version promises to include real-time video viewing. Users of the Barclays Center app will soon have the ability to order concessions from your seat, which means no more standing in line so you don’t miss out on the real-time play by US Olympic team gold medal member Deron Williams, All-Star Joe Johnson, Kris Humphries, and budding superstar Brook Lopez, plus the rest of the Nets talented roster, coached by Avery Johnson. The app was made by WillowTree Apps. More features will be unveiled as the NBA season progresses. The other component of the Cisco Sports Technology business model is StadiumVision. Barclays Center has crystal clear HD video on screens everywhere in the venue. StadiumVision is a proprietary digital video and content distribution Platform that offers central controls while streaming targeted high-definition video and content to viewers. Central control of the wired and wireless access, security, surveillance, ticketing, and point of sale transactions, is smart sportsbiz. Barclay’s Center will have 700 HDTV’s and approximately 100 concession menu boards. The suites will include Apple iPads connected to the Wi-Fi network that will control the HDTV’s featuring 60 channels of HD content (Time Warner Cable) and NBA League Pass (DirecTV). This tech is what is being called an “all-encompassing multimedia experience,” by Cisco. When fans travel around the arena they will be able to watch Live hoops action happening on the court, while checking out the Barclays Center concession specials. All boards will update simultaneously because they are integrated together with point of sale. Fantasy basketball team owners can see the out-of-town games and find out scores. New Jersey and New York locals can tune into traffic updates. The boards are also an engagement tool for sponsors and promotions. 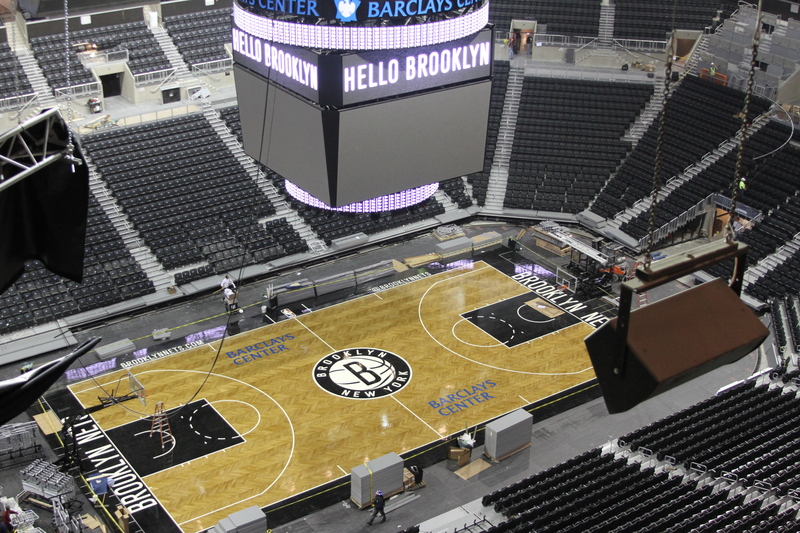 The installation of the Network and Cisco solutions at Barclays Center was completed by High Point Solutions, a partner of the arena and the Brooklyn Nets, and a Cisco Gold Certified Partner. With the assistance of Text 100, I asked the following Sports Techie questions to: Stuart Hamilton, chief technology officer of Cisco Sports & Entertainment Solutions Group. 1. Is Cisco’s Connected Sports and Entertainment solutions – Connected Stadium Wi-Fi and StadiumVision – at Barclays Center, a new business sports business model based around free Wi-Fi, the BC app, and 700 HDTV, plus 100 concession menu boards, all connected via the Cisco Connected Stadium intelligent network? The Cisco Connected Stadium is an intelligent network customized to meet the unique, real-time needs of sports and entertainment properties. This single platform for innovation and growth bring all forms of communications, operations and entertainment together, and provides the flexibility sports and entertainment properties need to adapt to market changes, as well as fan needs, for years to come. Cisco StadiumVision (the 800 displays you referenced) and Connected Stadium Wi-Fi integrate into this platform to deliver new fan experiences, growth opportunities and efficiencies. 2. Did the Nets request a new fan experience? The Barclays Center team — Brett Yormark, CEO Brooklyn Nets, and Chip Foley, Director of Building Technology, Forest City Ratner (building developer) — have developed and are executing against a fan-centric strategy for the new arena, with technology playing a leading role in delivering more immersive, interactive, mobile and social experiences that fans demand. As evidenced by their inclusion of 800 dynamic displays to deliver targeted HD video and digital content throughout BC, and commitment to a seamless reliable mobile experience with Wi-Fi and the Barclays Center app, the intent is to place the fan at the center of the action. 3. Is gamification a technology offered in Cisco’s Connected Sports and Entertainment solutions? The underlying Connected Stadium Wi-Fi platform(s) enables sports and entertainment properties to provide consistent and reliable Wi-Fi service to thousands of fans throughout the venue, opening up a host of new fan engagement and service opportunities. Interactive games, trivia, etc. is one example of what can be enabled by this solution, which creates a more compelling environment for all. 4. Is Cisco technology at Barclays Center entirely in English or is localization being used for Russian, Chinese, Spanish or any other languages? The Cisco StadiumVision platform can be used to provide content in any language and has been deployed in countries around the world. Each venue, including BC, will decide the best way to communicate and interact with fans. 5. Is offering free, high density Wi-Fi a sportsbiz trend at venues? More and more sports and entertainment properties are embracing the strategy of providing consistent and reliable connectivity in their venues to support their business needs. Connectivity is as important as air and water in these venues. Many organizations believe future monetization opportunities lie with fan engagement vs. connectivity fees. BC has made it clear that Wi-Fi will be free to fans, opening up a new world of opportunity with apps, as well as social and live video-based experiences. 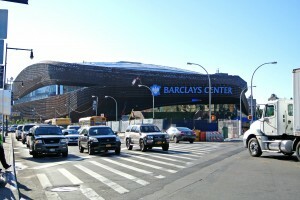 Scheduled to open on September 28, 2012, Barclays Center will be a major sports and entertainment venue in the heart of Brooklyn, New York. Developed by Brooklyn-based real estate developer Forest City Ratner Companies, and designed by the award-winning architectural firms AECOM (www.aecom.com/architecture) and SHoP Architects (www.shoparc.com), Barclays Center will have one of the most intimate seating configurations ever designed into a modern multi-purpose arena, with unparalleled sightlines and first-class amenities. Barclays Center will offer approximately 18,200 seats for basketball and up to 19,000 seats for concerts, and will also have 101 luxury suites, four bars/lounges, four clubs, and 40/40 CLUB & Restaurant by American Express. 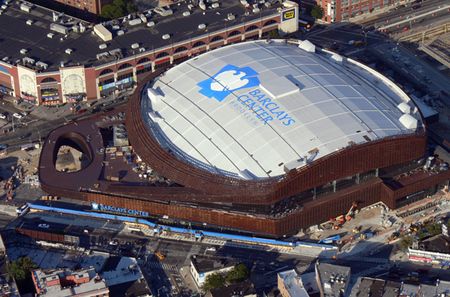 Barclays Centerwill host an extensive variety of events, including premier concerts, monthly major professional boxing cards, top college basketball, family shows, professional hockey, and the Brooklyn Nets. Some of the special programming that is already scheduled includes JAY Z, who will open the building on September 28 with the first of his eight concerts, Barbra Streisand, Andrea Bocelli, Rihanna, Justin Bieber, Journey, Leonard Cohen, The Who, Bob Dylan and His Band with Special Guest Mark Knopfler, Rush, John Legend, THE SMASHING PUMPKINS, Green Day, UB40, Shaggy, Beres Hammond, Maxi Priest, Hezekiah Walker, Neil Young & Crazy Horse, The King’s Men gospel concert with Kirk Franklin, Marvin Sapp, Donnie McClurkin, and Israel Houghton, 2012 Verizon’s How Sweet the Sound™, Russell Peters, the Barclays Center Classic men’s college basketball tournament, Atlantic 10 Men’s Basketball Championship, Coaches vs. Cancer Classic, Islanders vs. Devils game, Ringling Bros. and Barnum & Bailey Circus and Disney on Ice, Kellogg’s Tour of Gymnastics Champions, and the New York Masters equestrian show jumping. Current programming alliances with Barclays Center include Golden Boy Promotions, IMG, Feld Entertainment, Lagardère Unlimited, and the Brooklyn Academy of Music. In addition to Barclays, the naming rights partner, Founding Partners for Barclays Center include American Honda Motor Co., Inc., American Express, Calvin Klein, Cushman & Wakefield, EmblemHealth, Foxwoods Resort Casino, GEICO, MetroPCS, Stolichnaya, and Ticketmaster. Other sponsors include: adidas, Anheuser-Busch, The Coca-Cola Company, Haier America, HighPoint Solutions, LIU Brooklyn, New York Marriott at the Brooklyn Bridge, SONY, Tyco, and Willis. 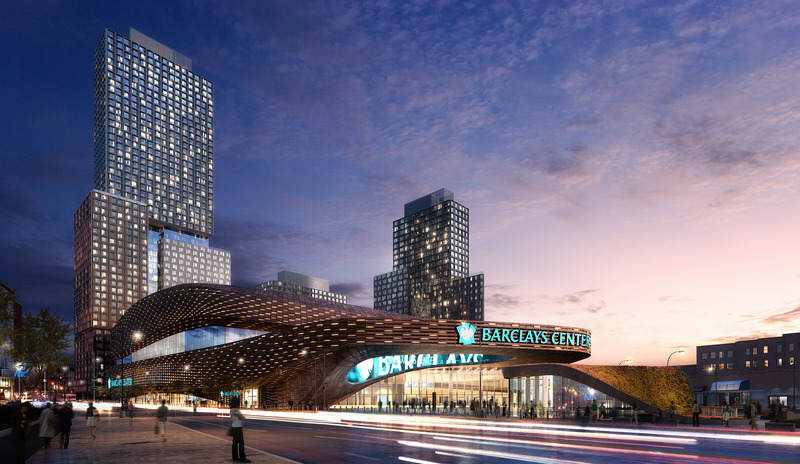 Located atop one of the largest transportation hubs in New York City, Barclays Center will be accessible by 11 subway lines, the Long Island Rail Road, and 11 bus lines. For more information on Barclays Center, please visit www.barclayscenter.com. For more information on the Brooklyn Nets, please visit www.brooklynnets.com. Cisco (NASDAQ: CSCO) is the worldwide leader in networking that transforms how people connect, communicate and collaborate with reach other. Information about Cisco can be found at http://www.cisco.com. 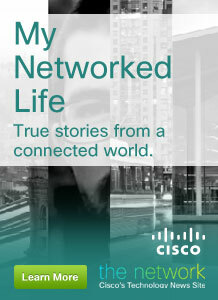 For ongoing news, please go to http://newsroom.cisco.com. Sports Techie, The NBA fans of today are more diverse, International and techie, then ever before. Mikhail Prokhorov, the Nets billionaire owner hails from Russia and is someone I consider to be an Ultra Sports Techie. Mikhail and his Nets Basketball Executive team understand the sports business trend of delivering free and reliable Wi-Fi so fans are able to use their connected devices as data gathering, second screens, which enables more options for marketing and monetization. Download the Barclays Center app and let us know how you like it. The Barclays Center adaptable single intelligent network by Cisco is revolutionary Sports Technology. With Cisco Connected Stadium Wi-Fi and StadiumVision, Nets Basketball, their fans, and sponsors, will all enjoy an Ultra Sports Techie experience at Barclays Center, beginning on September 28th. The invitation-only unveiling event inside the first billion dollar arena in the NBA starts Friday morning at 9:30 a.m. It is beginning of a fun and hopefully winning Nets season in Brooklyn. Thank you to Text 100, Cisco, Barclays Center, and the Brooklyn Nets, for this outstanding Sports Techie blog opportunity. We appreciate any social media engagement, and your retweet, share, or Like of any blog.